A driver whose car mounted a kerb in a Dunstable street and killed a father was today cleared of murder. Brendan Thomson, 26, was also found not guilty by a jury of alternative charges of manslaughter and causing the death of Paul Pradier by dangerous driving. 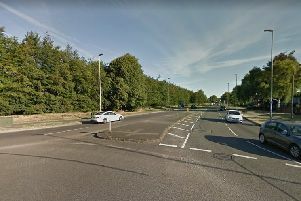 Luton crown court heard that 37-year-old Mr Pradier was pronounced dead at the scene, close to his home in Southwood Road, at 4.20pm on Friday September 29 last year after being hit by Mr Thomson’s Renault Megane. Minutes earlier, there had been a row outside a nearby Downside newsagent’s in which Mr Pradier, a roof tiler, hit Brendan Thomson with an axe. Mr Pradier’s girlfriend Joanne Hobbins told the jury of 6 men and 6 women that after he was hit by the car she was hysterical. During the three week trial the jury heard Paul Pradier had been drinking with a workmate in The Highwayman pub in Dunstable earlier that afternoon. Brendan Thomson, who had been drinking whisky, told the court he was “p...... off” after being attacked with an axe, but only followed Mr Pradier to have a fist fight with him. He said he did not intend to hit him with the car. After the verdict Brendan Thomson, of Mayflower Road in Dunstable, was freed by Judge Richard Foster.